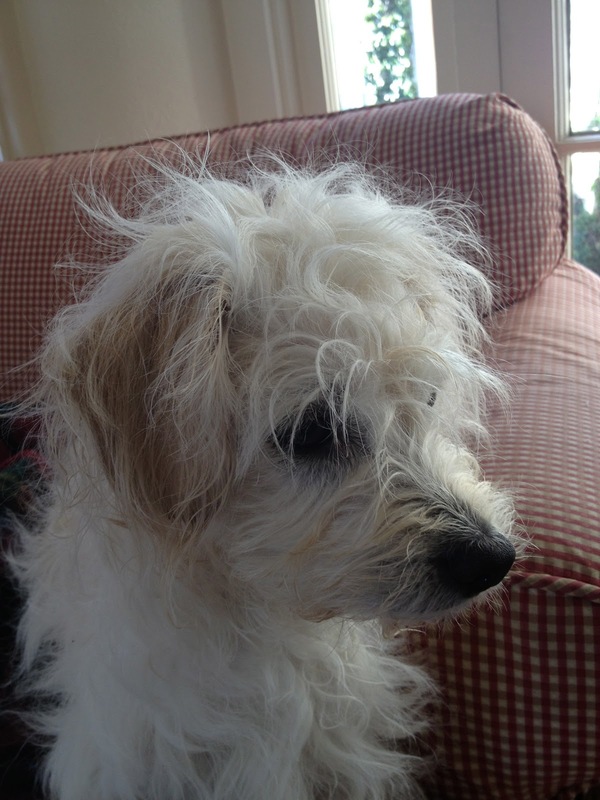 His name was "Cotton" in the shelter, which is apropos, since he looks like a big scruffy cotton ball. They said he was a stray, roaming the streets in a nearby city, which broke my heart. After much pleading on my part, Mr. A agreed we could adopt him. 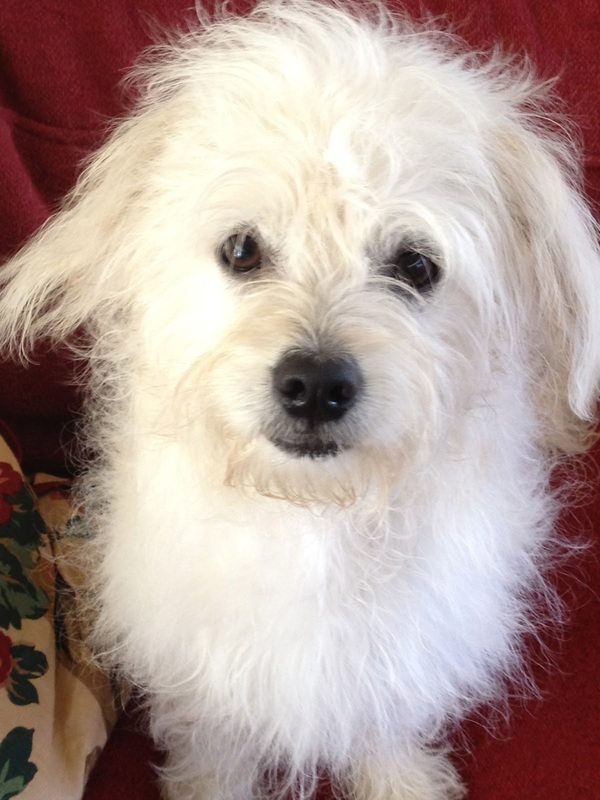 Our 8 month old Maltese mix rescue dog! Everyone loves him, and he loves everyone! Even Mr. A loves him, which I knew he would. ...and big girls with big dogs. ...and doesn't mind a bath. 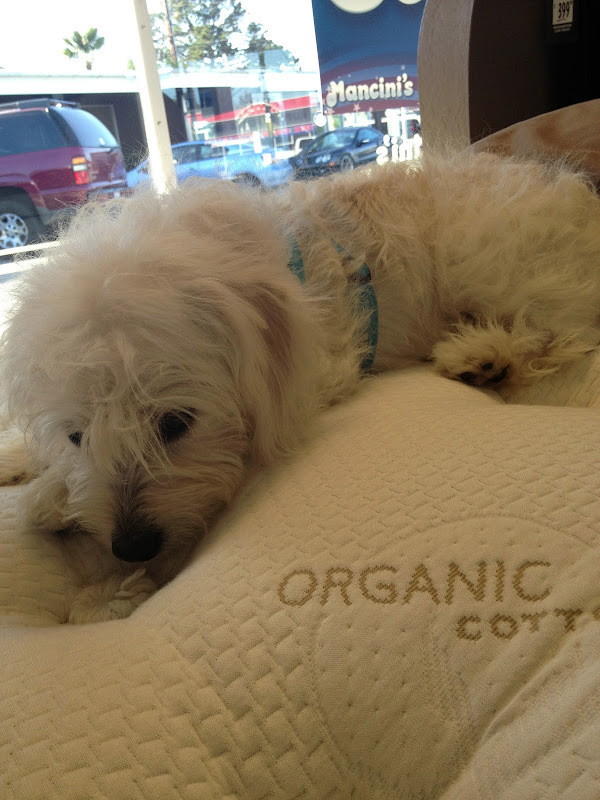 We even took him shopping for mattresses, and he picked the perfect organic cotton mattress! I wonder if he realizes how lucky he is to have found a loving home. But we're the lucky ones! He is the perfect dog! Congratulations on adopting a new family member. He's a little sweetie! 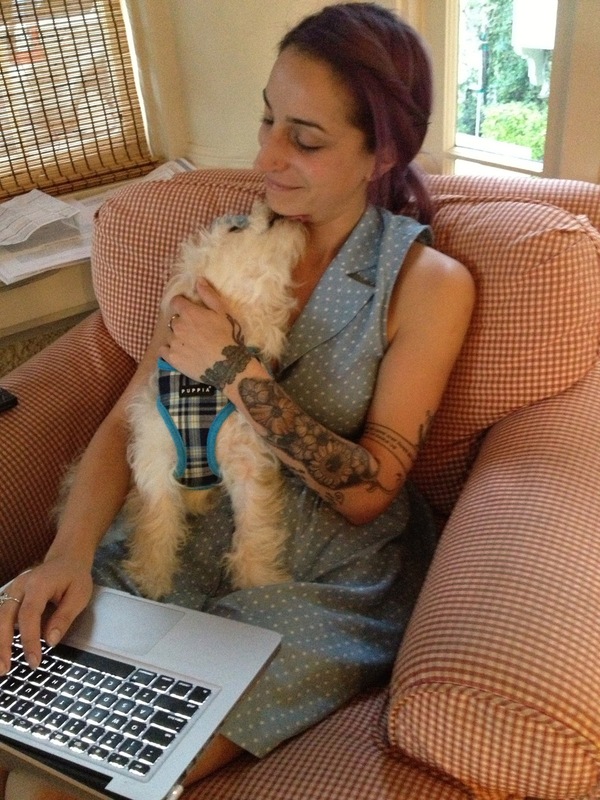 Oscar has a wonderful home; what a lucky, LUCKY doggie! And congratulations to you for RESCUING a wonderful little friend! 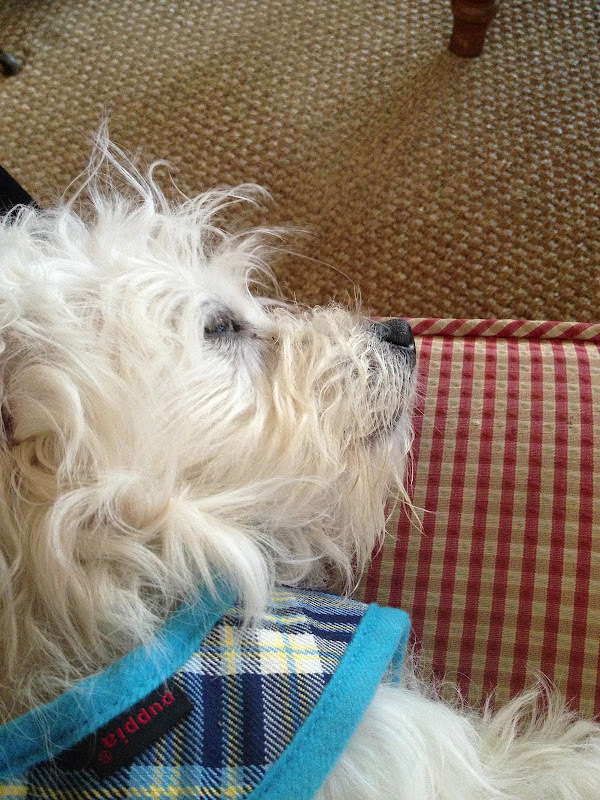 Delores, I have a purebred Maltese named "Bono" cause he acted like a rock star when he was a puppy. These dogs are wonderful, and I love you for taking Cotton off the streets. He has found the most wonderful home in America from the look of it. Big huge props to you and your family!!! AWWWW.....This story made me tear up. I had a little maltese for 14 years named Bob. He was the nicest little boy. I miss him so much and your pics reminded me of him. He is sooo lucky you found him and now looks like he is in the best place any doggie could ask for!!! BTW..... I forgot to write that he even looks like he is smiling in the second picture. Soooo cute! He is adorable. So fluffy. it is amazing hw they can adapt. Rescue dogs are the best. We rescued two Springer Spaniels and they have been the greatest. What a doll! He truly looks like he is loving his new home! Congratulations! Howwww cute!!!!! He looks so happy!!!!! 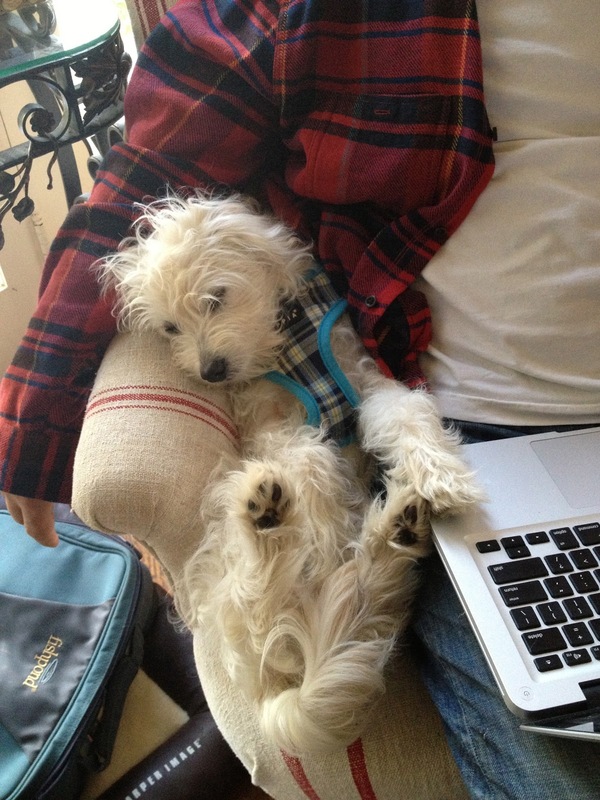 I knew he was a Maltese - and he's so cute. He looks like he's well behaved and enjoys his new life. oh how sweet! Don't know who is the luckier one!!! He's precious! My rescued boy, Franklin says hello! Toby Keith the Jack Russell Terror. And Sweet Orphan Annie are so happy Oscar has such a great home! I love him! Such a cutie! Oscar and Benji will be lifelong friends! So cute doggie and the baby more cute. Thank you so much for sharing such a beautiful post. Seeing how content he is when sleeping and how happy when playing I think YES, he does know how lucky he is to be adopted! That is the magic of rescue dogs... they get it! He is a love for sure. I am so happy y'all found one another to love!! I always love a good pet adoption story. He is adorable! My heart is so, so happy that you and Oscar found each other!! 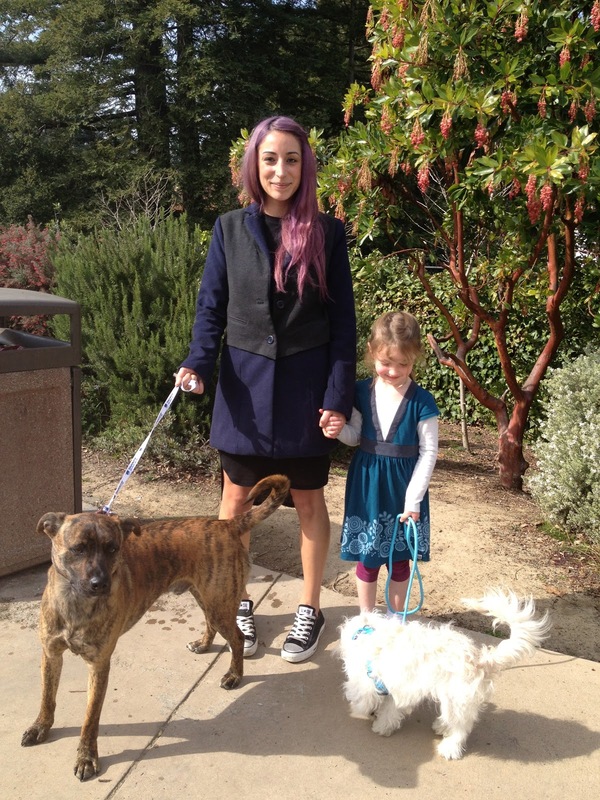 I'm such an advocate for adopting rescues and I love your story. Of course, in the South we say "Oscar fell in the honey hole"!!! Congratulations to all of y'all!!! What a cutie Oscar is. I got all teary eyed reading your post, reminds me of the dogs we rescued. There are no sweeter dogs then the ones from shelters. From one dog lover to another thank you for taking him in and showering him with love. He definitely deserved a nice home like yours. I don't know which to call "lucky" you or that adorable pup! I think you both are but I think I'm a little happier to know a little stray roaming the streets has a safe and happy home where he will feel the love! I'm sure he knows how lucky he is !! That is what he was so excited about. How wonderful; a new friend to love and make your laugh. 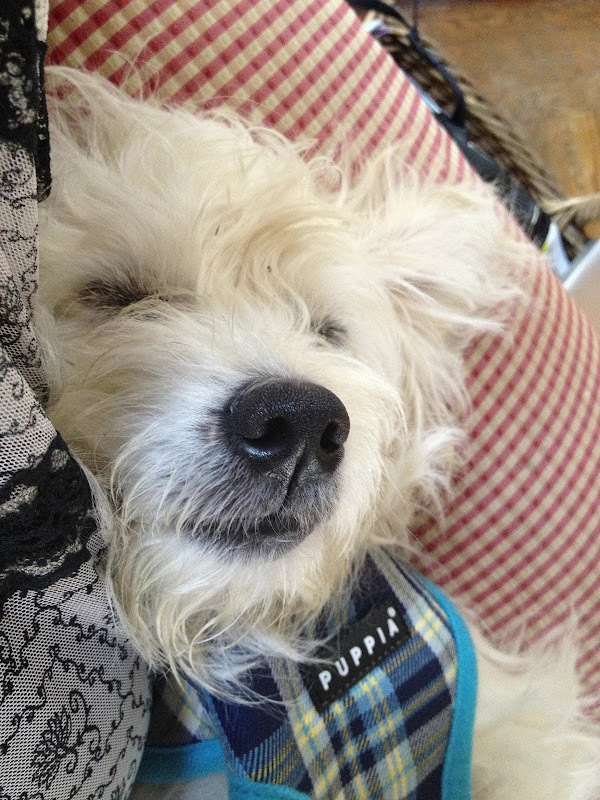 I'd say by the contented look on his little face, he knows how lucky he is to have been adopted by you and your family. The second picture brought tears to my eyes. He has the look of pure joy! I would say everyone/dog was blessed by this decision! Oscar Wiley III couldn't possibly be any cuter. You are all lucky to have each other. What an adorable fur baby! He already looks so happy and is obviously feeling perfectly at home with your family. Well, bless his little heart--and yours too. He knows he hit the doggie lottery where you win all the love and caring you could possibly need. Win win situation.